Danielle DeJesus is not your average 27-year-old. 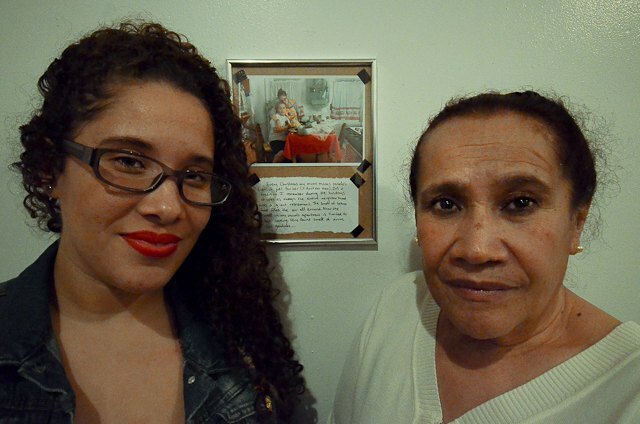 The Bushwick-born Latina, who grew up on Jefferson Street, is on a mission to preserve her neighborhood by photographing the people and places from her childhood. Sounds like pretty serious business, right? But for Danielle, its not just work - it’s her life. 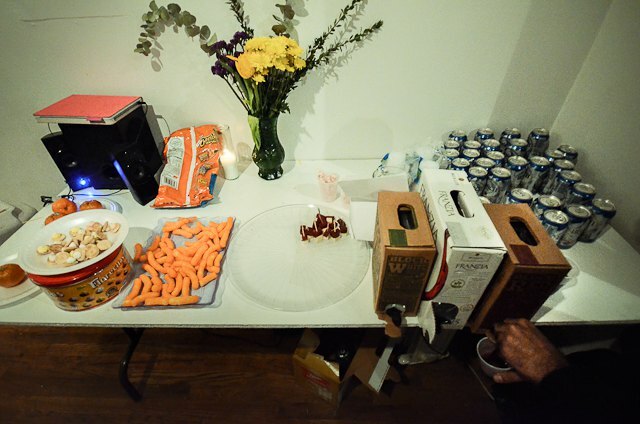 This past Thursday evening, Danielle’s first solo show Made in Bushwick debuted at The Living Gallery, unfortunately for one night only. Her photographs, two collages, and etch-a-sketch art were all telling the story of Danielle’s disappearing neighborhood. Greeting guests with huge smiles and hugs, the artist and photographer was clearly beaming at the opportunity to show her work in Bushwick. “I feel really grateful for this opportunity. 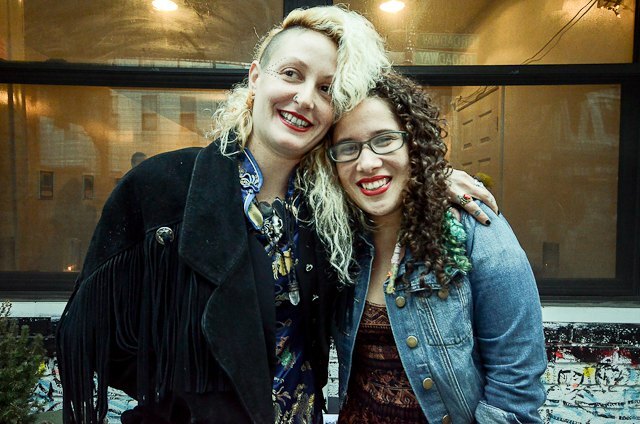 [Before], there was no place for Bushwick artists to show their art,” told us Danielle. 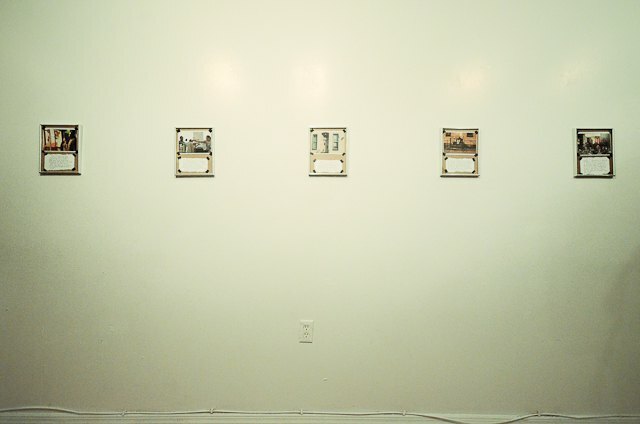 Danielle’s documentary-style photographs were the focus of Made in Bushwick. Placed on cardboard cutouts and adhered with black tape, her photographs are honest and lovingly DIY. Below each picture is a description in her own words, giving the viewer a much richer understanding of the work. The whole atmosphere of the show felt like an extension of her home life - everything down to the florecitas, or traditional Puerto Rican cookies. Over many years, Danielle took her camera out on the streets of Bushwick to capture her vibrant neighborhood and culture all very personal to her--her friends, family, strangers... She took a particular interest in Carmelo, an elderly man who lived in her mother’s basement after being left without a home. 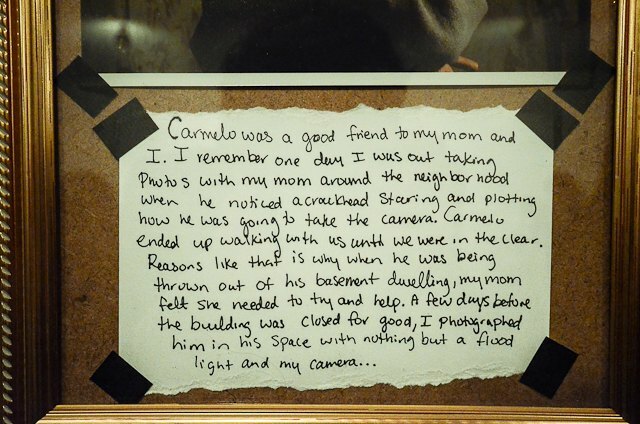 In a series of three pictures, Danielle photographed Carmelo in the dingy, derelict basement he called home. Yet Danielle’s own story is nonetheless inspiring. After many attempts, she was accepted into the Fashion Institute of Technology, where she studied photography. At that time, Danielle began taking photos of her neighbors and people on her block. Yet it took her a long time to share the photos she took of Bushwick with her peers. “I kept it personal for so long. I didn’t know how people would react. I felt ashamed of where I came from...FIT has people from all over the world. I felt like the ‘ghetto girl.’ "
A professor encouraged Danielle to continue shooting in her neighborhood, which ultimately led her to a showcase at The Living Gallery on Thursday evening. It has been way to connect back to her roots and hold on to what is fading from her life. 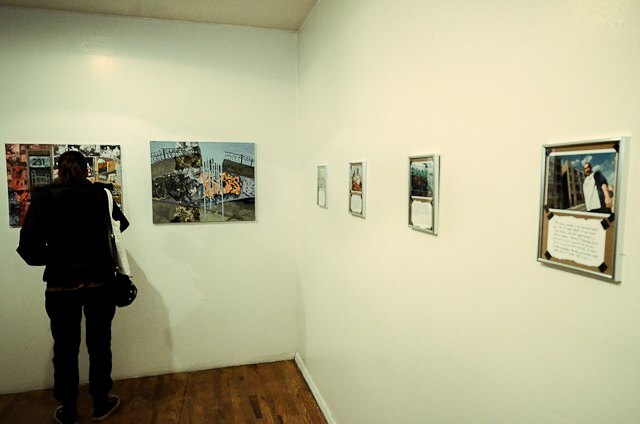 The Bushwick displayed in her photos is not of coffee shops or art galleries. They are photos of a neighborhood where people hung out on stoops, hosted block parties, blasted salsa music, and beat the summer heat with fire hydrants. In one photo of kids playing in a bursting fire hydrant, her description reads: "I STILL remember how that "Pump" water was...We would run against the water rushing down the gutter and we would pretend we were on Baywatch...in the hood." Sure, the Bushwick of the past was crime-ridden and sketchy, but for Danielle that's just how things were. 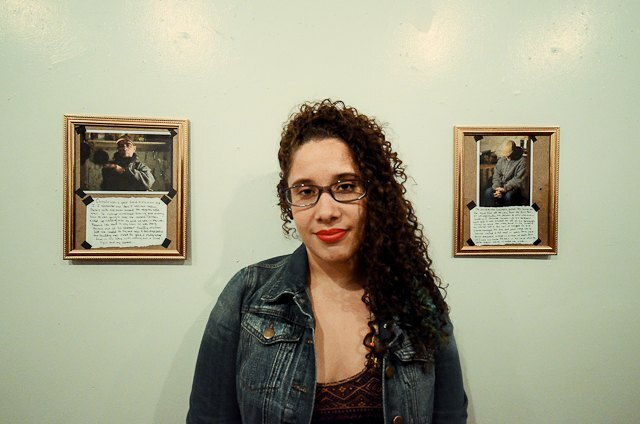 “Growing up [in Bushwick] I never felt unsafe. There was a crack house across the street from me... but I always felt safe. It was home.” For now, Danielle says she feels stuck between two worlds: her 'hood' past and that of a gentrifying, whiter, cleaner Bushwick. “I’ve been told that I am “trying to be white” because I dress a certain way, skateboard, and have a decent job. I now find myself in this weird identity crisis because I know that I am Bushwick, everything about me IS Bushwick” she said. However, an identity crisis is not evident in her demeanor or her work. That Danielle is from Bushwick and knows this neighborhood, shines through. 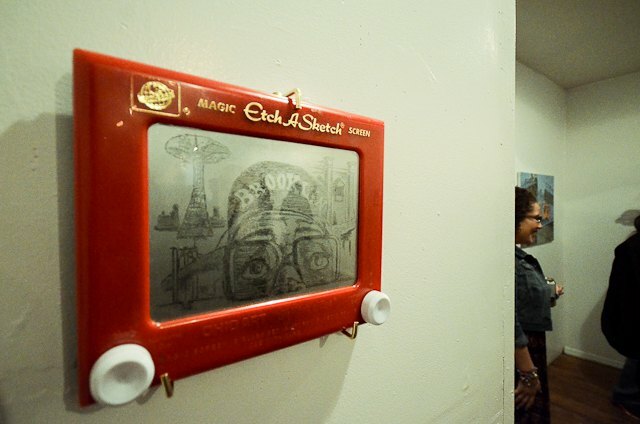 Made in Bushwick tells a story not of sadness, but of nostalgia. In many ways, it is a love letter to the people and places of her childhood. 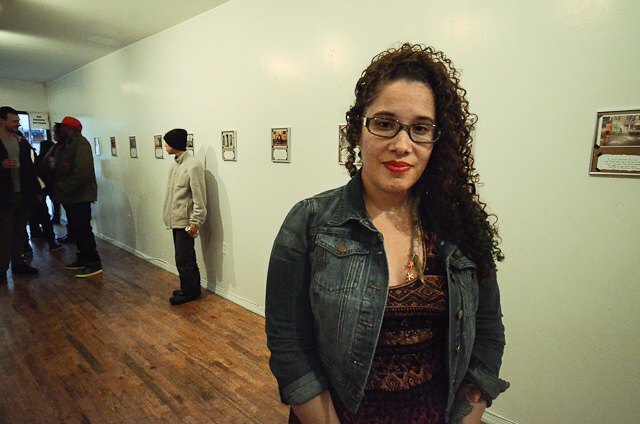 She hopes her show encourages a discussion about Bushwick among current residents who may not know its past. And while you could lazily label her work as “anti-gentrification,” a closer looks reveals Danielle's photography is more of a history lesson and a reminder of what was here before. Instead of shunning the emergence of gentrified Bushwick, Danielle is hoping to spread awareness with her work. While Danielle remains a crusader for the ‘old Bushwick,’ she does recognize how far she's come. Judging from her Instagram, she’s a huge Walking Dead fan and loves skate culture - she recently got a tattoo of Reggie Rocket on her leg. Danielle hopes to get a better camera soon, but for now she is savoring the success of her first solo show. But her childhood memories of Bushwick, like those in her photos, will never fade.